New in MitoPedia: 100 years of IUPAC - towards a common language. 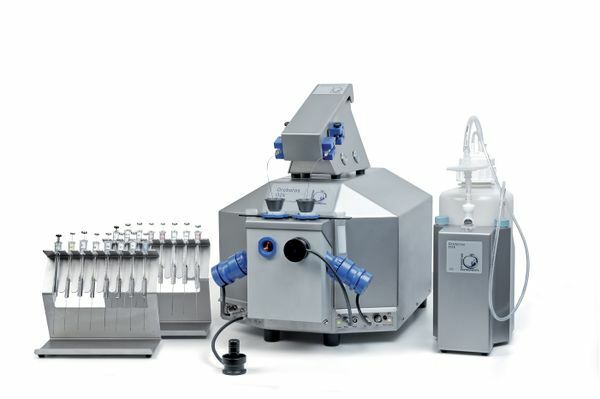 Calibration and flux analysis – simplified for O2k-FluoRespirometer channels and add-on O2k-Modules. 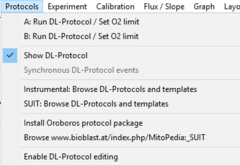 DatLab Protocols: Both (1) instrumental protocols for quality control and (2) experimental substrate-uncoupler-inhibitor (SUIT) protocols guide the user step-by-step through the experiment, with programmed Events (titrations) and Marks (sections of the experiment for statistical analysis). 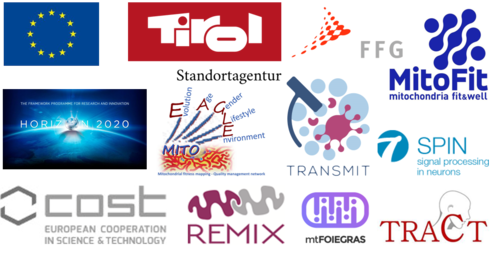 Browse DL-Protocols and templates: In a library of standardized protocols, each SUIT protocol is explained by an application example and supported by a template for data analysis. Lower O2 limit: Respiration becomes oxygen dependent below a critical oxygen concentration. An automatic warning alerts the user to avoid hypoxia. Graphs: Standard graph layouts can be selected, adjusted, and saved as User-defined layouts, to view O2k-MultiSensor experiments and export graphs for publication. Titration-induced peaks and spikes can be deleted. Mark statistics: New statistical features are available for numerical display of results from DL-Protocol Marks and user-defined marks: median, average, SD, outlier index. These data can be exported for further analysis. Did you know: You can search for pathological states-such as cancer-, where 254 references are listed. This page was last modified on 24 April 2019, at 22:29. This page has been accessed 860,910 times.